Since I’m an avid genealogist, I am also a big fan of Ancestry.com. Having been a member of the research website for the past ten years, I often come across interesting bits of information, rare photos and valuable documents pertaining to our ancestors. Today I found a fun link on Ancestry that instantly compiled facts about the Genetti Family as documented by the Ancestry data base. I just entered our surname and here’s what I found. According to Ancestry.com, the Genetti family name was found in the USA, and the UK between 1891 and 1920. The most Genetti families were found in the USA in 1920. 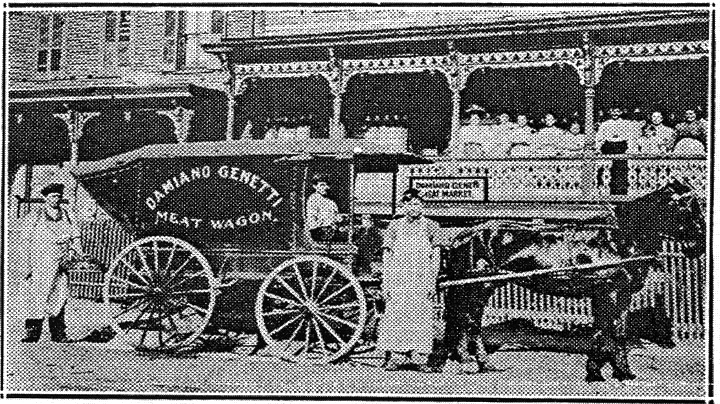 In 1920 there were 14 Genetti families living in Pennsylvania. This was about 19% of all the recorded Genetti’s in the USA. 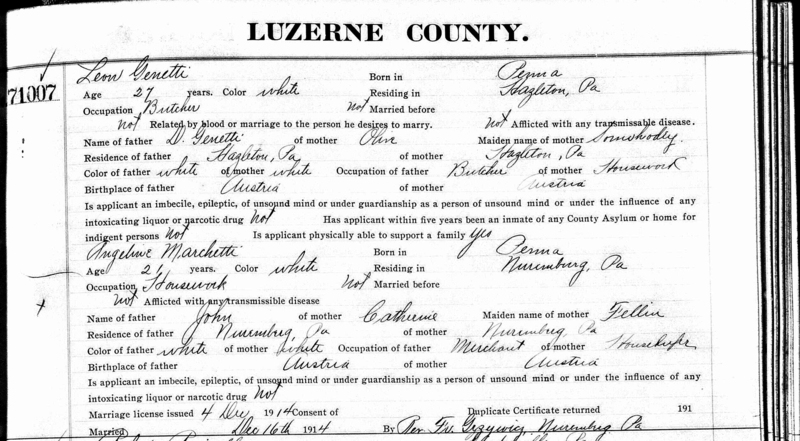 Pennsylvania had the highst population of Genetti families in 1920. The next largest concentrations are in: Illinois, Michigan, Wyoming, Nebraska and California (according to Federal Census Data). Webmaster’s Note: the Genetti families listed in the federal census living in New York, Massachusetts and New Jersey at this time were not connect to our family. They originated in central Italy with the surname of Giannetti. Sometime after they immigrated, the family changed their name to Genetti. The New England Genetti family is not related to the Castelfondo Genetti family. Between 1963 and 2004, in the United States, Genetti life expectancy was at its lowest point in 1973, and highest in 1979. The average life expectancy for Genetti in 1963 was 83, and 85 in 2004 (according to the Social Security Death Index). FYI – this is very good news! It appears that Genetti family members tend to live longer than the average population, considering that in 2004 the average life expectancy of the general public was 74. So far our oldest living known ancestor was Angela Maria “Ann” Genetti McNelis (1903-2005), youngest daughter of Damiano and Oliva Genetti. She lived to be 102 years old! The Ancestry derivation of the name Genetti is totally bogus. Thanks for commenting Alexandra. I appreciate the input. Concerning the post, I was only stating what I found on Ancestry. As you and I both know from research, there is always much more to the story than meets the eye (or should we say standard info!). I always love receiving additional information to augment the posts. Grazie! Thanks Louise,I love reading about our family Thank you.